Titanium Pintle fitting is constantly damaged during the drilling and bolting operations that occur in this area. This leads to costly concession investigation work and increase in rework time. Bespoke cover fitting designed to fit the bush in the pintle fitting. 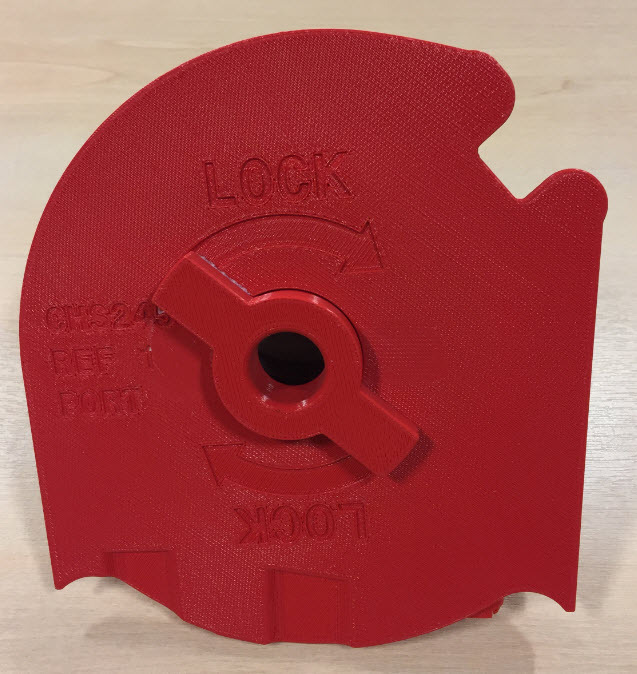 Cover designed to fit different variants of aircraft with different bore sizes from Ø140mm to Ø145mm 3D printed built in cam locking mechanism. Overall concession reduction of £1000 per wing and rework saving of 2 hours per wing.